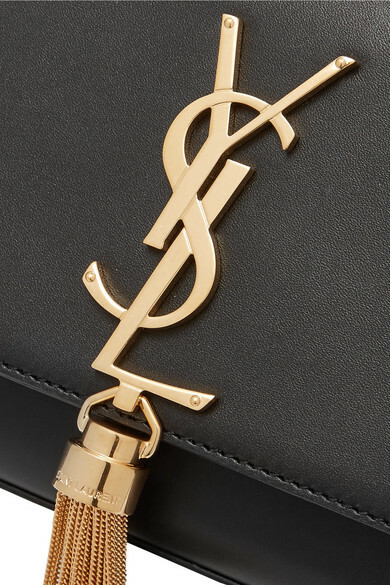 Saint Laurent's interlocking 'YSL' logo was first created in 1961 by poster artist Adolphe Jean Marie Mouron. 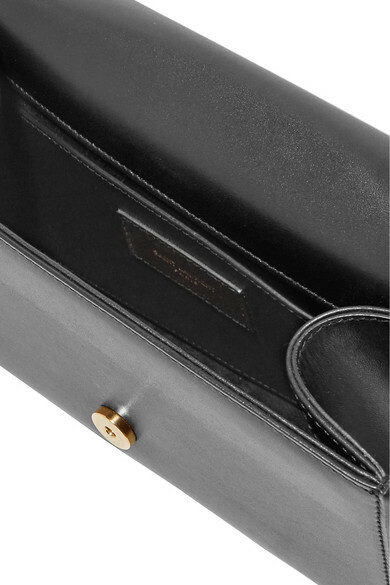 Impeccably crafted from smooth black leather, this 'Kate' bag is spacious enough to hold your daily essentials - think cell phone, card holder and keys. 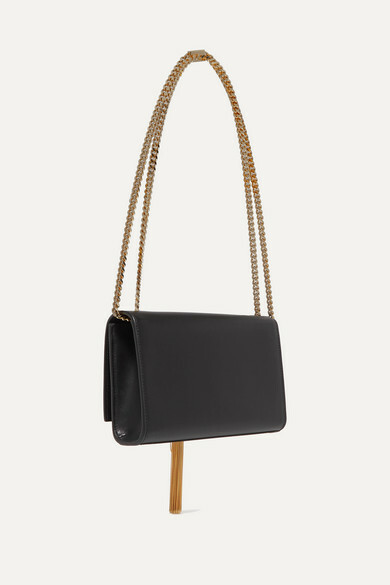 Carry it by the adjustable chain strap or in-hand as a clutch, letting the heritage tassel swish as you walk. 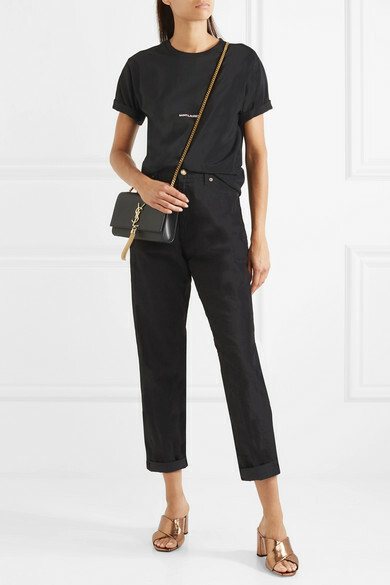 Shown here with: Saint Laurent Mules, Saint Laurent T-shirt, Saint Laurent Jeans.